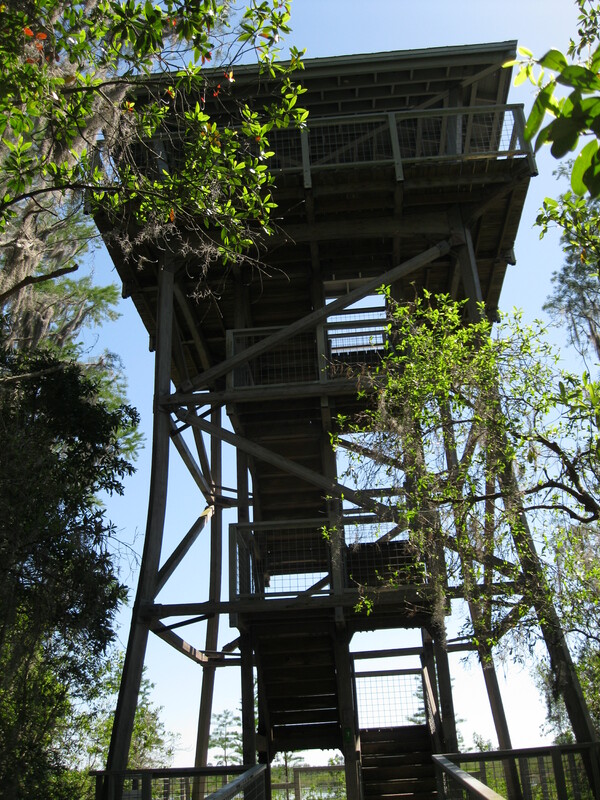 After our boat tour into the Okefenokee, we decided to walk the 0.75-mile boardwalk back to the observation tower. Okefenokee is really not a swamp at all, but a massive peat bog, and along the boardwalk we saw plentiful Sphagnum moss as well as a few pitcher plants, which are carnivorous. 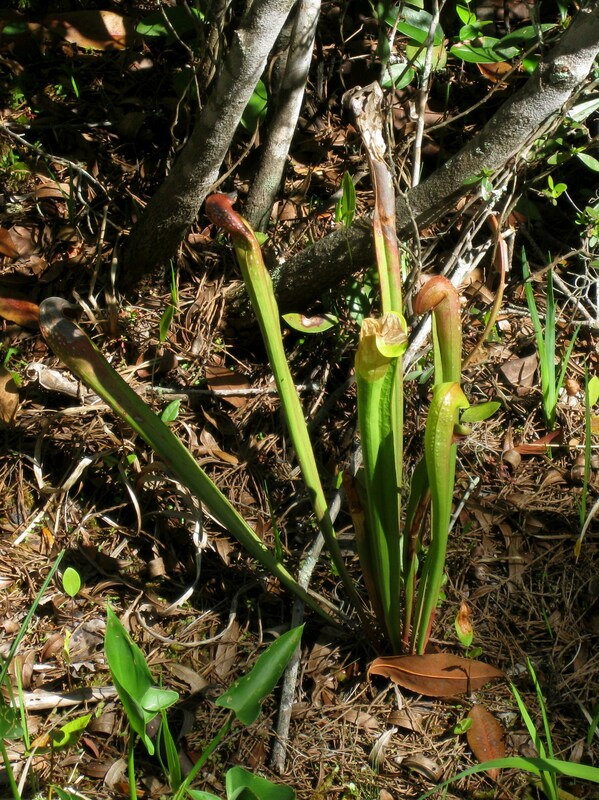 In a bog the soil tends to be acidic and nitrogen-poor, and carnivorous plants compensate for the lack of nutrients in the soil by trapping and digesting insects. 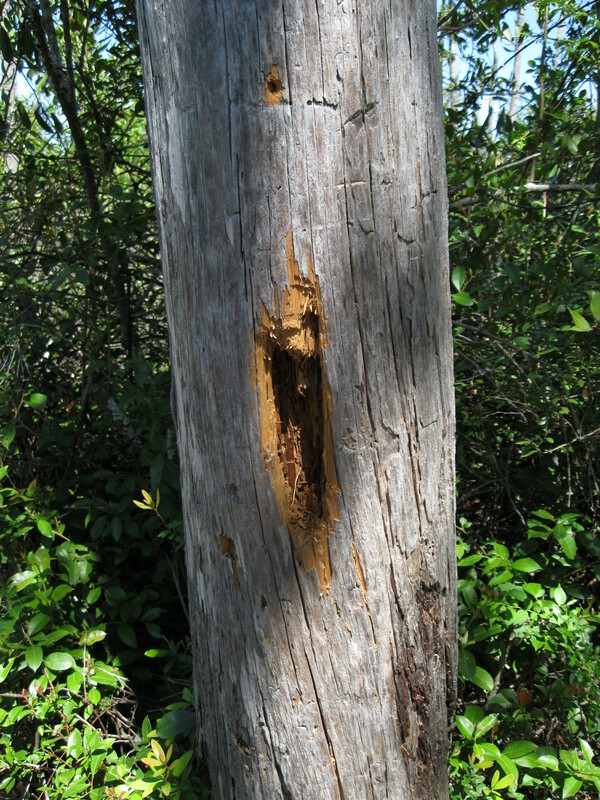 We looked for Pileated Woodpeckers, because my mother has never seen one, but though we heard them calling and saw the cavities they’d excavated in dead trees we never spotted one. …and what a pair they were, with their magnificent lack of concern for the humans admiring them and photographing them and talking quietly. Get a load of that yellow eye! As we walked back, we could hear baby alligators chirping to their mama and Brown-headed Nuthatches calling their squeaky-toy calls in the pines overhead. Not, overall, a bad way to spend a Sunday. 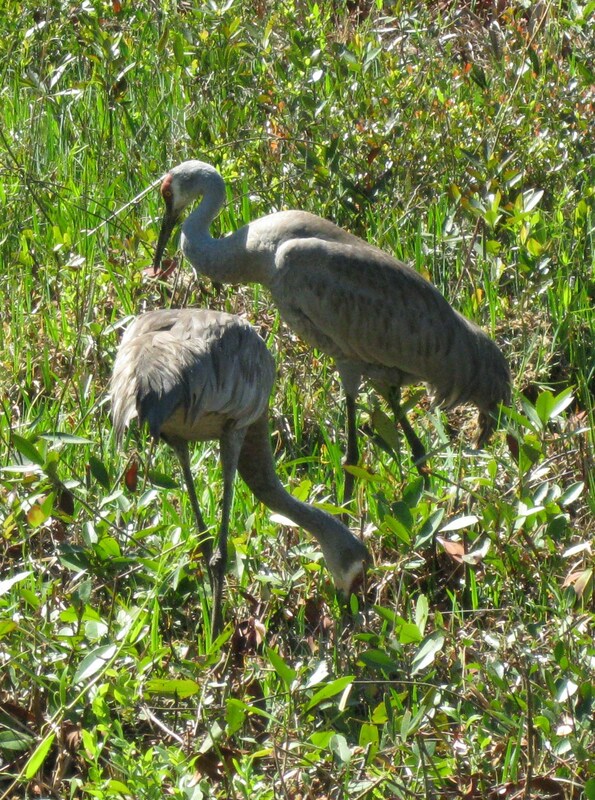 You have a picture of a Sandhill! Nuthatches and alligators, too, you hear. What a great time you have in the peat! place. Yes, I have to bite my tongue when friends call a breed of cattle wrong or a gelding a mare and so on. But, we’re diplomatic and polite, aren’t we? Have to be because it’s an imperfect world and a really great place to blog, Rebecca. Bog blogging – say that 10 times fast. A friend of mine did a canoe trip there, and said you cannot camp in a tent as the ground is too unstable and boggy, but have to use raised, already-built wooden platforms for sleeping on. Interesting.